I am very excited to try this because of what I’ve discovered through a little research. Keep reading to learn more. Peppermint- This oil gives a cooling sensation and has a calming effect on the body, it’s also a driver and helps drive the other oils into the skin. Douglas Fir- This oil is used to relieve fatigued muscles and also supports the skeletal and respitory systems. It has a traditional Fir scent to it which is also calming and peaceful. 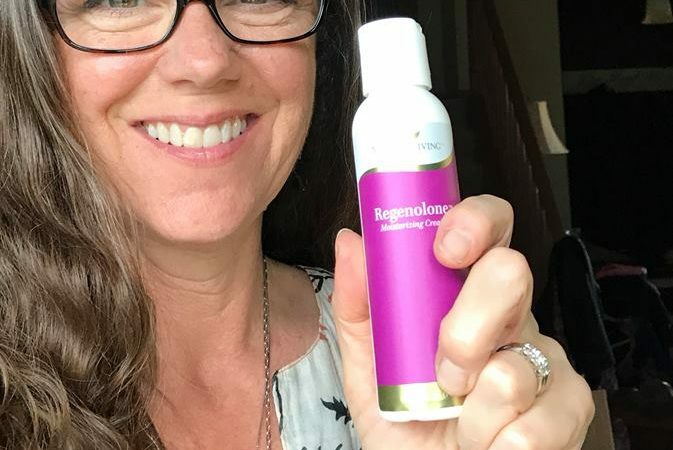 Besides moisturizing the skin, Regenolone can also be used for hormone support. It contains Wild Yam, black and blue cohosh, and pregenolone — the precursor to hormones like estrogen, progesterone, and testosterone. (Women will love the way they feel if hot flashes are coming their way). It can be used on both men and women to support hormone function and can be used with other Young Living hormone supportive products. MSM (methylsulfonylmethane) is an organic sulfur compound that’s naturally derived during the earth’s rain cycle. Sulfur is present in many natural unprocessed foods, but it’s quickly lost during the cooking process. Our bodies need MSM to properly produce collagen and cartilage, both essential for joint health as well as many other necessary functions in the body. MSM also helps our cells eliminate waste which allows our bodies to work more efficiently on the areas we need them to. Regenolone supports the nervous system, as well as the endocrine, immune, muscular, skeletal, and reproductive systems. 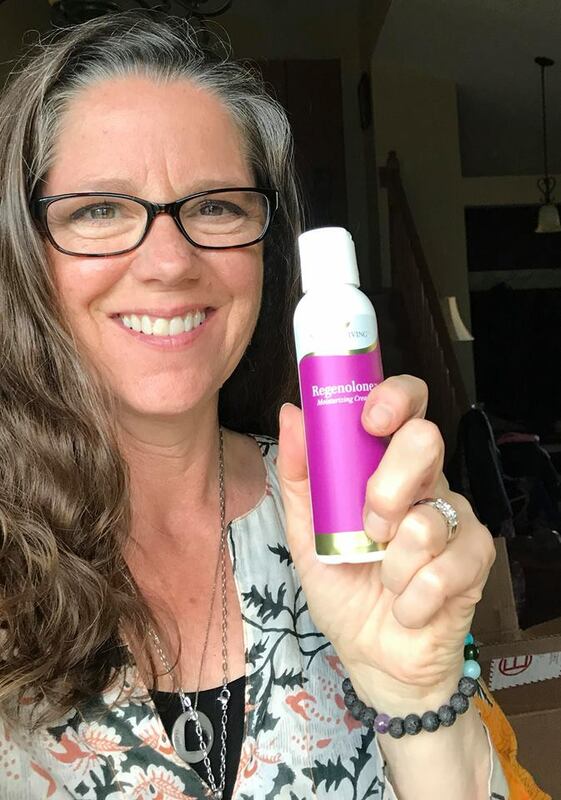 It’s really much more than *just* a moisturizer, but we shouldn’t be surprised… that’s what Young Living does best. They combine ingredients that do more for us than any drug store moisturizer could. ‍♀️One more use for this amazing cream is that it can soothe tired muscles from working out or strenuous activity. Because it has ingredients such as peppermint, Roman chamomile, and St John’s Wort, it’s a wonderful cream to rub into muscles and overworked areas. -Many use this cream after a Raindrop massage as they find it to be complementary.